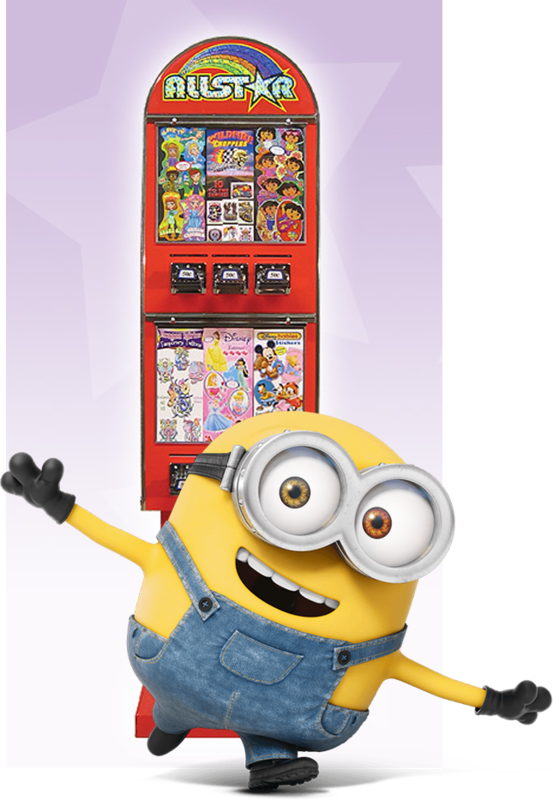 Allstar Vending’s past and present licensing partnerships include those with Universal Studios / Illumination Entertainment, Disney, Dreamworks, Toon Studios, Sony, WWE and the NHL. With our exciting new contracts, Allstar will be carrying a wide array of products for both the capsuled and flat machines in vending, as well as products for the redemption side of the industry. Our innovative and kid-loved toys have won industry awards and continue to outsell the competition. We print our stickers on the highest quality paper. All tattoos and toys are non-toxic, hypoallergenic, and meet FDA requirements, exceeding quality regulations worldwide. Our tattoos are made with FDA certified colorants and comply with all CSPC/CPSIA and ASTM requirements. At Allstar outstanding service is a given. We stand behind our items, with our ‘no surprise, no fillers’ guarantee. We take pride in the fact that many people have reached their financial goals as a direct result of our guidance and affiliation with our company. Our main objective has been and will continue to be, providing our customers with the encouragement and tools to make their business as successful as we have made ours. If you have questions about the Bulk Vending business, give us a call or email us today. Our knowledgeable staff will gladly assist you! We can serve you in four languages, English, Spanish, French and Hebrew.